To continue on his idea, in this age and probably the next to come, everyone needs and wants a phone. We have come to the point where not having one is a serious drawback to basically anything you want to do. But here’s the thing: the internet, all the information, communication with others. Those are the things that are indispensable to us. Not the phone. The phone is just the input and output device. Devices have gotten smaller and smaller. From desktop to laptop to netbook to tablet to phone and now watch. We are still using a pc / phone combo because of storage and what each of them can and cannot do. In the future however, I don’t think we will have these devices anymore. Instead, I think they will all evolve into a direct connection between our brain and the internet. The transition has already begun and our unconscious needs are being expressed through the progress of augmented reality and virtual reality technologies. The Internet of Things and all related applications will also play a role. 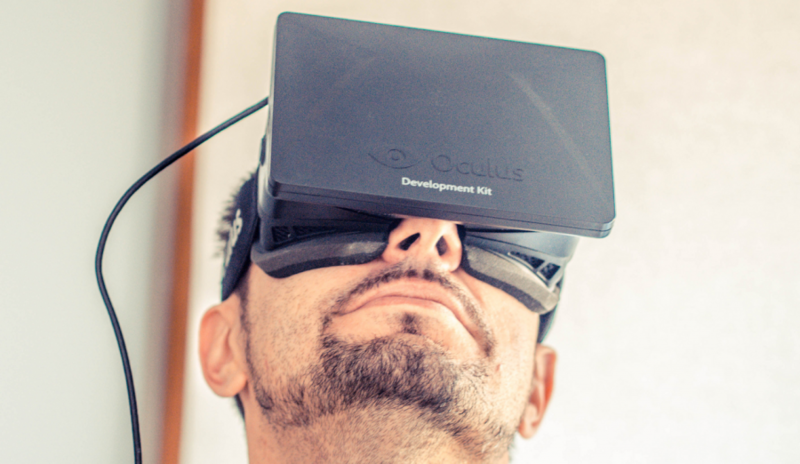 As for virtual reality, we have all seen the evolution of Oculus Rift and similar devices. Each day there are more and more games and applications for them, at least 1000 according WEARVR‘s library. Take a look below at 5 virtual reality gadgets that will be available in the future and for a glimpse of VR in the future, I recommend Sword Art Online. I do think however that at some point all of us will be annoyed of typing and clicking instead of just interfacing directly with the information or the software. Virtual reality and augmented reality will probably play a big role in this transition. We will come up with a better way, because that’s just how we earthlings are.